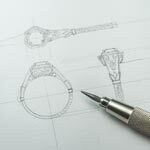 We love creating original jewelry designs and specialize in custom work. The artists at Green Lake Jewelry Works are nice people, too! We work hard to make sure our pieces are affordable, well crafted, and built with responsible materials. Our custom Made Pieces are priced comparable to fine quality mass produced pieces, and you get exactly what you want! 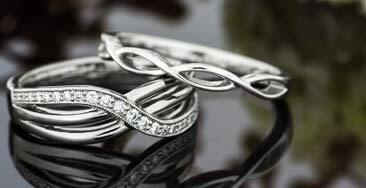 Buying directly from the source saves you money and you get a better piece of fine jewelry. To save even more, choose our Green Lake Easy Order Originals or find great deals on our in stock items. Pricing is based on design complexity & difficulty, metal and gemstones. Many custom shops are expensive, but we produce top quality Original Designs for less than most stores sell mass produced pieces. The reason we can is that while a large factory can mass produce for 10-20% lower cost than us, they sell that item to a store which must mark it up from 50% to as much as 300% to cover their own costs, marketing, profits etc. 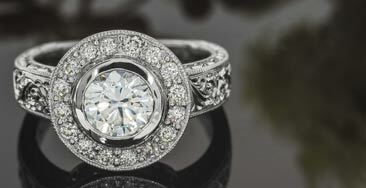 We make that ring for you, to your style and taste, and sell it to you with no extra markup. We have to pay our rent too, but only once, not for both a factory and a store. Also, keep in mind, there are no giant factories making highest quality jewelry like we create. The best work is done in pretty small shops, usually with no more than 75-100 artisans, often far smaller, and even well known designers usually have their pieces made in modest size shops, so we are actually fairly large and efficient compared to our peers. What's the price range to design my own custom piece? Look through our galleries to get a feel for price ranges. 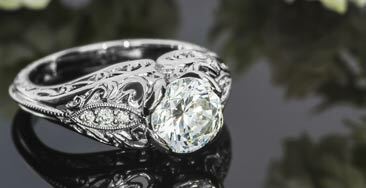 Most of our designs show the price range to custom design a similar piece. Have you found a favorite design, but wonder how to keep the price down? Live chat, click "Ask a Designer" or call 206.527.1108 or 888.339.1709 nationwide. We have all kinds of ideas to make your favorite design perfect for you and your budget. How long will it take? Well...How long would you like it to take? All kidding aside, we work at a pace that satisfies each client. Designing Custom Jewelry is fun and many people like to take their time and relish all the little details ... Other clients either don't have that luxury or just prefer to get on with it! You have a lot of control of the time-line so let us know what suits you best. Some simpler custom designs can be completed within 3-4 weeks, but the design phase can extend that time frame. We can meet most deadlines, but many people prefer a slower paced design process and so jobs without a "Rush" often take 6-8 weeks from "Thinking about it" to "Wearing it"... 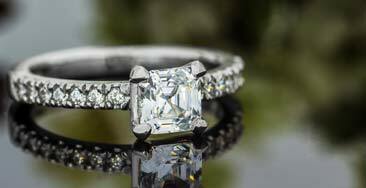 Most Experienced Bench Jewelers have made a gift for a loved one in one long day, so trust us! We can fit the schedule you need! Once completed, orders will be shipped via FedEx or UPS 2 day air (U.S. addresses) or USPS to APO address at no additional charge. International customers will be quoted shipping as part of their order, and are responsible for any duties, VAT, taxes or surcharges levied or charged by their country. Please check with local authorities prior to placing your order to confirm taxes and duties. Military personnel located overseas may also have their packages shipped to an APO or FPO location free of charge. APO/FPO shipments are done through the US Post Office and can take longer (sometimes up to three weeks) to arrive. We begin with a conversation to discuss your design ideas, time frame and budget, do quick sketches, and answer any questions that you have. When a design is settled, a firm, written estimate will be given for the project, a deposit taken and the creation begins! 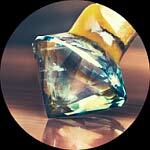 Next, we begin more detailed drawings, CAD models, wax models (we send them to you to try on if you like! 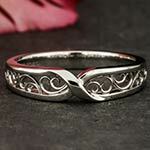 ), casting, detailing, stone setting, and final touches of filigree and/or engraving. 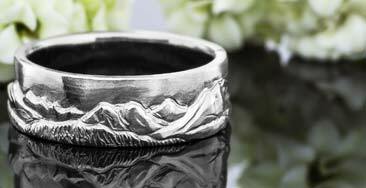 How do I choose the best metal for my custom ring? 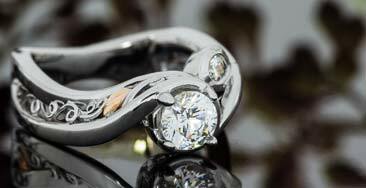 We find that if price is not considered, platinum is almost always first choice for white metals. 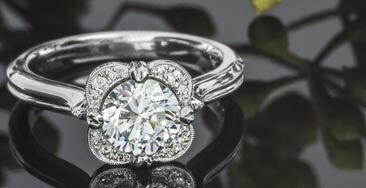 White gold is very popular, strong and whiter than ever. 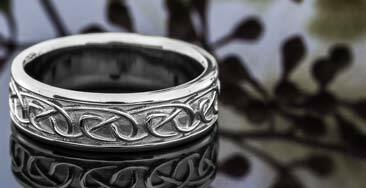 Newer white gold alloys are less likely to cause irritation than they used to. We also offer palladium 950, a platinum group metal, with similar properties at a much lower cost than platinum. We cast in all alloys of gold, and even do exotic alloys like stainless steel and titanium for certain types of work. 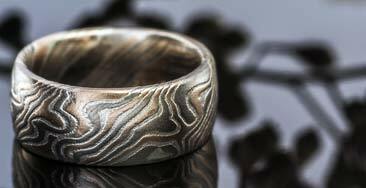 Can I have my own metal melted down and reused in a custom piece? We have the capability to do this, but do not recommend re-using metal from an old piece of jewelry or scrap. Because alloys vary from piece to piece, there is no way to control the chemical composition or structural integrity of the new piece if we do not know the source of the metal. 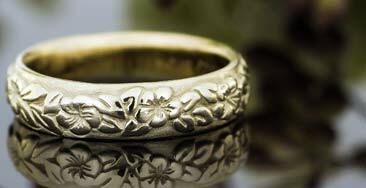 Generally yellow gold recasts okay, but white gold does not. We do not recast platinum or palladium. We offer properly recycled metals as an option for new castings. 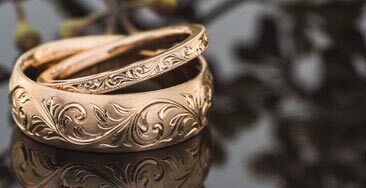 We can take in old jewelry for “scrap value” credit towards your custom project, and order newly recycled metals that have been accurately chemically balanced. 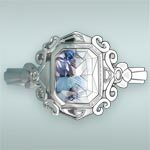 Can I use my own stones in a custom piece? Will you set my Stone? Yes! 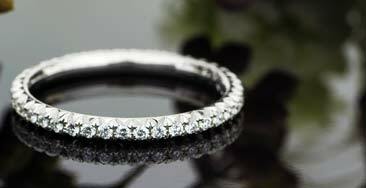 As long as your stones are in good condition, they can be reset into a new piece. Contact us for stone setting fees, as they vary with the value, difficulty and durability of the stone. Conflict-free diamonds are stones mined, cut, polished and distributed in ethical ways, whose profits do not fund war, terrorism the drug trade or other criminal activity. The Kimberly process was set up to guide and monitor the Diamond industry and is conformed to by almost all governments of the world and by all the important diamond producing, cutting and distribution companies of the world. 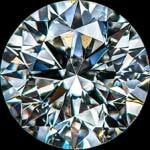 We only work with diamond cutters and dealers who guarantee their diamonds are sourced under Kimberly rules. 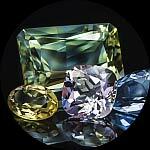 Are your gemstones & metals responsibly sourced? We care about the earth, so we make our jewelry in the most carefully and responsible way. 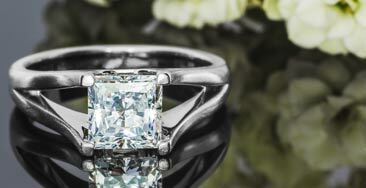 We hand-select fine gemstones that are conflict free; we choose suppliers who care and who make sure that these precious gems are mined responsibly too. 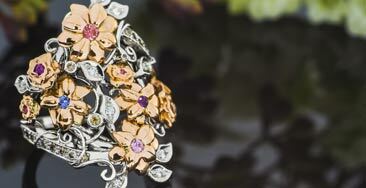 We use recycled and responsibly-mined metals to make your fine jewelry too. As pioneers in large scale custom work, we feel responsible to push the industry to improve sources and consider the earth first, selecting the most sustainable, low impact sources for all products we use. What do different sizes and shapes of stones look like? Click here for images and measurements…. What if I don’t like my custom ring? What is your guarantee? 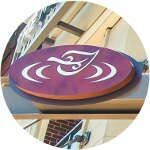 We work very closely with each customer to ensure that the design is what they want. 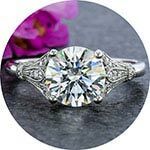 We promise that you will love your custom jewelry or tell us within 30 days of completion and we will modify, re-design or start over one time for free! The only charge will be for the difference in price if the new design would have cost more originally. We will re-design and re-make one time for free, as long as the recipient is included in the design process all the way till the end. This is not for surprise designs. In the event a surprise design is not loved like you thought it might be, we will give a partial credit toward a new custom piece that will vary depending on many factors. Ask us if you want to do a surprise design and we will work this out in advance. We also (rarely) reserve the right to exclude the custom promise on designs using experimental materials or structural elements. Customers creating designs that are exempt from having the custom promise will be notified before a deposit is taken and the job has begun. We do all of our work right here in our own shop using the highest quality materials. Each piece is carefully inspected prior to shipment and we guarantee all of our work for at least one year. We also offer a stone loss warranty program, complimentary with any stone that we set. We stand behind everything we sell and warrant that all items will be free from any manufacturing defects at the time of delivery. 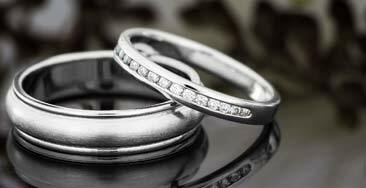 In the event that there is ever a problem with your jewelry, it can be mailed back to our offices for inspection. If the problem is determined to be from a structural defect, we will repair or replace the item at no charge to you. 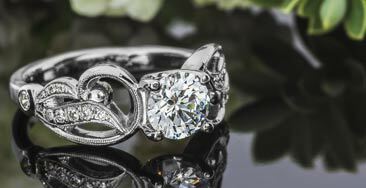 You may also return your jewelry to our shop for free prong tightening, re-polishing, and cleaning for the life of your fine jewelry, with only nominal shipping fees. Please contact us if you have questions or would like to return your item for any of our free warranty services. 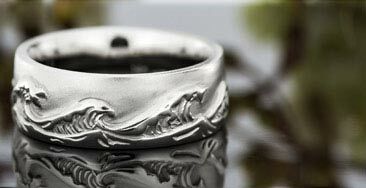 To keep your piece looking great, try to avoid wearing in the shower or the ocean and put your jewelry on last to avoid getting cosmetics or perfumes on them. You can clean most gemstones in commercial jewelry cleaning solution, but don't submerge pearls, emeralds, opals or anything glued in or inlaid. 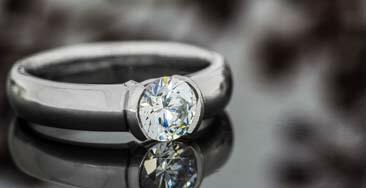 We also do not suggest regular polishing as microscopic amounts of metal are removed each time. You can expect to need your prongs and shanks built up every 5-15 years for gold alloys, every 10-20 years for palladium and once or twice in a lifetime for platinum. 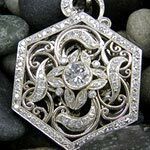 Pendants and earrings don't get the same wear and should last a lifetime without these issues, but pendant bails may need to be built up on occasion. 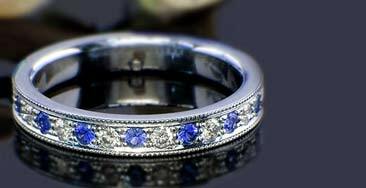 The only gemstones we recommend for engagement and wedding rings, where they will be worn daily for decades, are diamonds, sapphires and rubies. 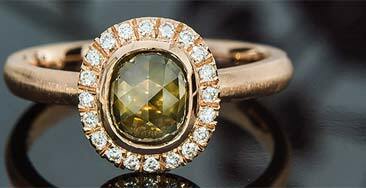 Since even these gemstones can scratch or chip, all other gemstones are likely to be damaged much sooner, so be careful when choosing lesser gems for everyday jewelry. Washington state sales tax will be collected on taxable purchases delivered in Washinton state.